Luxury watches have always been known to be a cut above the rest. Whether it’s the quality of materials, the techniques applied by the master craftsmen, or even the limited availability, there’s just something about luxury watches that will catch an aficionado’s eye in a second. The same can also be said for luxury skeleton watches, which have been steadily growing in popularity over the years. Skeleton watches offer a different perspective than its usual covered caseback counterparts. For the most part, skeleton watches give us a glimpse of its inner workings, which call for a deeper appreciation towards the master craftsmen who are responsible for putting the gears into motion. This intricate piece of watchmaking brings the art into a whole new light while also blending the very best of fashion and functionality. Skeleton watches are the pinnacle of luxury watchmaking, especially for wearers who are into the aesthetics of a stylish watch yet still appreciate the craftsmanship of a classic timepiece. If you’re looking for a watch that has been stripped down to its bare essentials yet still revealing a more intimate side of itself, we have got you sorted with these five timepieces — each carries a significant skeletonised design to its body, allowing you to appreciate the fine inner workings to see what makes the watch tick. Cartier is a brand that is deeply soaked in the rich heritage of timepieces and jewellery. 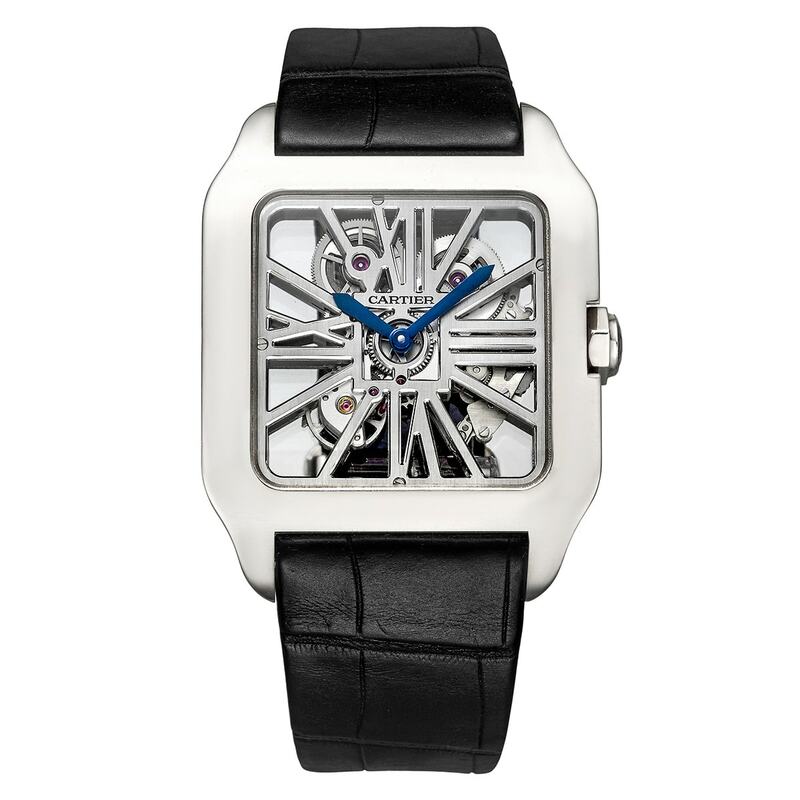 It’s mostly well known for the Cartier Santos timepiece, a watch that requires no introduction. It also has a bigger, badder sibling in the form of the Santos-Dumont Skeleton watch. The unique design of the watch allows you to see its inner workings while its being housed in an 18-karat white gold face. On the dial rests the signature roman numerals, which allow you to tell time through movement bridges. To top it off, the watch comes with a black alligator strap, giving it a hint of elegance while still looking intimidating. When it comes to skeletonising luxury watches, Roger Dubuis should be on the list strictly because of how well it pulls off the look. 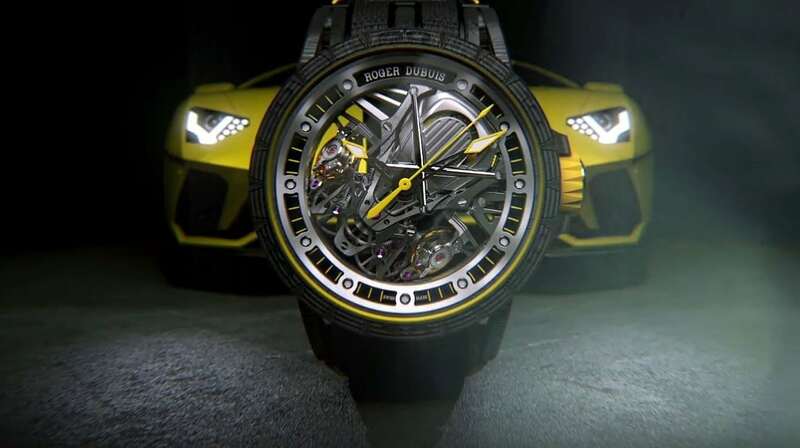 One such watch is the collaboration between Roger Dubuis and Lamborghini, which brought forth the Excalibur Aventador S. For those who are familiar with the luxury Italian supercar, the Excalibur Aventador S bares the same striking attributes that makes the Aventador S such a beloved car. The main design marvel of the watch is its multi-layer carbon skeleton case, making it the only timepiece in the market to be fully skeletonised from the movement to the case. This special collaboration between Hublot and Richard Orlinski gave birth to the Classic Fusion Tourbillon 5-Day Power Reserve Orlinski, blending Hublot’s technological expertise with Orlinski’s contemporary designs. What’s great about this highly-coveted timepiece is not only is it limited to 30 units worldwide, it also comes with a skeletal dial and face thanks to its open-work architecture. 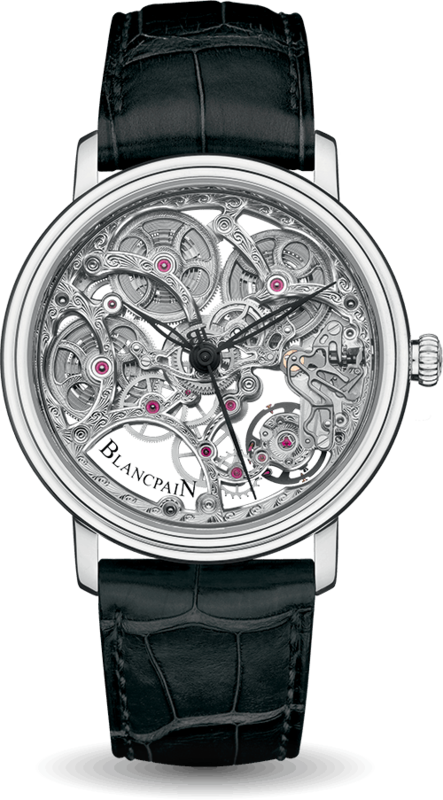 This showcases its wide mechanism apertures, which highlight its gears and tourbillon cage as well. While this timepiece isn’t exactly new, Glashütte has a way of ensuring its watches stay relevant throughout the years. Its Senator Manual Winding Skeletonised Edition is one such timepiece with the Glashütte in-house movement, which can be displayed for all to see through its 42mm, polished 18k rose gold case. Its skeletonised dial shows just how intricate the detailing within can be while a black railroad track minutes ring with Roman numerals rests on the dial’s periphery. Thankfully it only scratches the surface of the watch, allowing you to admire the true beauty that is the inner workings. If you’re looking for a truly open-worked watch movement, look no further than the Blancpain Squelette 8 Jours. 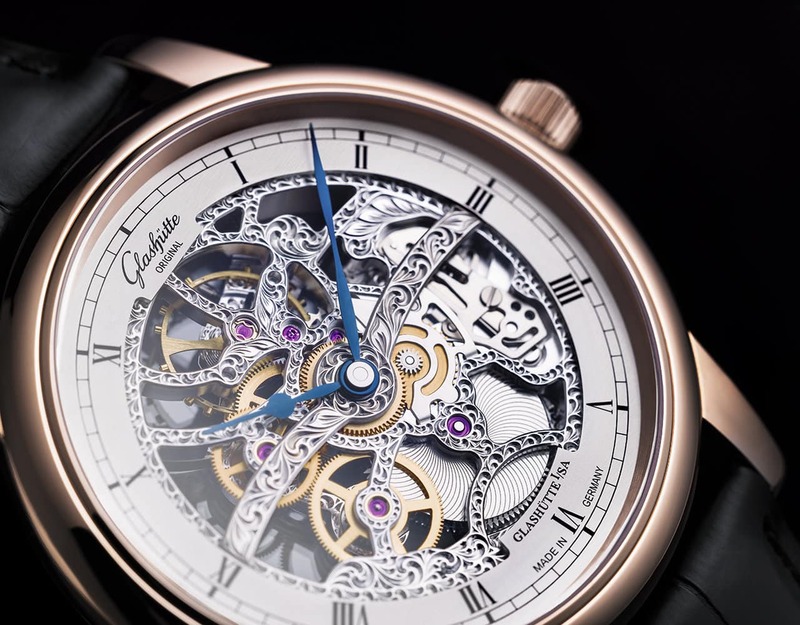 It comes from the brand’s Villeret collection and it offers one of the most complex, yet highly intricate executions to a watch’s skeletonised design in the market. The watch also comes with an 8-day power reserve, hence its name. The rubies that rest within the watch are made to keep everything working efficiently over time while the manufacture movement that is on display through the front and back is the manual-wound Calibre 1333SQ. The timepiece itself features a total of 157 pieces with 30 jewels set within and yet, it still remains at only 4.20mm thick.